Enerlites announces special discounts on all its products for hurricane victims in Texas, Florida, and Puerto Rico. This offer is valid through 31 Dec 2017. Enerlites, a leading manufacturer and supplier of high-quality wiring devices and lighting controls, understand the devastation brought by Hurricane Irma, Harvey and Maria. Thousands of victims are still without any power, and are desperately in need of replacement electrical devices. As a humanitarian effort, the Company has announced special discounts for hurricane victims in Texas, Florida, and Puerto Rico. This offer is effective immediately and applies to all types of Enerlites products, including timer switches, floor boxes, occupancy and vacancy sensors, and other innovative devices. The offer is valid through 31 Dec 2017. Not sure what parts you need? Send Enerlites your blueprints and our product experts will help customers select the appropriate products for their homes or offices. Enerlites is headquartered in Irvine, CA. 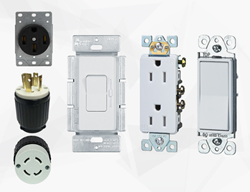 From interchangeable USB charging receptacles, and electrical floor boxes, dimmers, occupancy and vacancy sensors, switches, the company provides more than 700 energy efficient and UL certified products. For additional information, or to request a quote, please visit: http://www.enerlites.com/ or call 877-372-6447.